China Eastern Airlines is showing some excellent prices on their non-stop flights between Toronto and Shanghai, China. 3. Click through from Momondo to Flight Network to make the booking. The price will show up around $669 to $687 CAD roundtrip including taxes. 4. You can bring the price down a little bit further, by using the promo code: 3P10OFFS132 when booking. You'll find the spot to enter the promo code on the passenger details page on Flight Network (after you've selected the flight). It can be difficult to find. Where to stay in Shanghai ? The following AirBNB links will lead you to some great deals on places to stay in Shanghai for under $59 CAD/night for 2 people. toronto, yyz, flight deals, asia, east asia, china, shanghai, pvg and china eastern airlines. 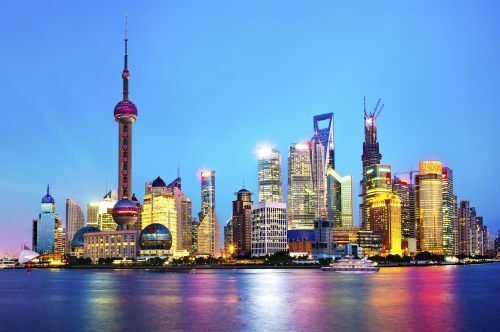 One Response to "Toronto to Shanghai, China - $659 to $677 CAD roundtrip including taxes | non-stop flights"
I found as low as $626 (April 14 - 29)!